Installing a 12V socket and USB adapter to your boat will allow you to add more electronics to your cockpit. There is a range of methods to add the cigarette lighter outlet and USB socket but adding a boat rocker switch panel is the best way. The best rocker switch panel is the FXC Waterproof Boat Switch Panel that has 2 USB slots, 12V outlet and many other features for the ultimate experience. A mixture of boat USB sockets and 12V outlets provides a range of compatibility with electronics that you may be using such as fishfinders, phone chargers and more. The rocker switch panel for your boat is the hub for controlling all the electrics and wiring of the boat. It also allows for 12V socket and USB adapter connection, which is highly desirable for those wanting to use all their electronics. Boat rocker switch panels have the added benefit of tidying up electrical wires and ensure fittings are clutter free. A high quality model will make the cockpit more modern and increase the resale value of your boat. There are a range of styles that include flashing LEDs, real time data and of course performance. Below is a list of the best boat rocker switch panels that include 12V sockets and USB adapters for all your electrical requirements. The FXC Rocker Switch Panel uses a heavy duty ABS plastic that has a waterproof rating of IP67 to protect your electrical wiring from water damage. It is available as a 4, 6 or 8 gang rock switch panel as well as a range of LED colors for the savvy boat owner. In terms of the features, it has dual USB adapters (2.1A), 12-24V cigarette lighter, voltmeter measurement with real time data and much more. Included is a 1 year warranty and installation is fairly straight forward with instructions that are provided. For running powerful electronic devices such as GPS Fishfinders as well as bright underwater LED boat lights, it works a treat. The waterproof FXC is the best rocker switch panel with both USB adapter and 12V outlet connections. The BlueFire only comes as a 3 Gang Rocker Switch Panel but for most boat owners, this is all that is required. It has a ABS construction with a IP65 waterproof rating and is CE/UL certified and environmentally friendly. In terms of its features, there is 3 LED illuminated switches, a 12V cigarette socket and 2 USB power charger sockets (3.1A). It terms of safety, there are rubber seals to prevent water dripping into the wiring and short circuit and overheat protection. Overall, the BlueFire is the best small rocker switch panel for boats that includes both a 12V socket and USB adapters. The BlueFire is also reasonable priced, which results in a very popular device that is seen in many boats. The XYZ Boat Supplies is a waterproof ABS panel face that includes no switches but a dual USB adapter and 12V Cigarette lighter socket. Not all boat owners require the switches but do requires sockets to plug in their chargers or other adapters. Each of the USB sockets are 4.2 Amps, which provides fast charging and between both the USB ports is a real time voltmeter. The left hand side of the panel includes a 12V socket and a rocker switch for switching it on and off. Overall, it is the best boat USB socket with excellent power and its ideal for those not wanting switches for additional electronic features. The SeaSense rocker switch panel is the opposite to the alternative above because it has no 12v cigarette lighter or USB ports. It only includes illuminated rocker switches and pop-out fuse holders from the corrosion free aluminum panel. 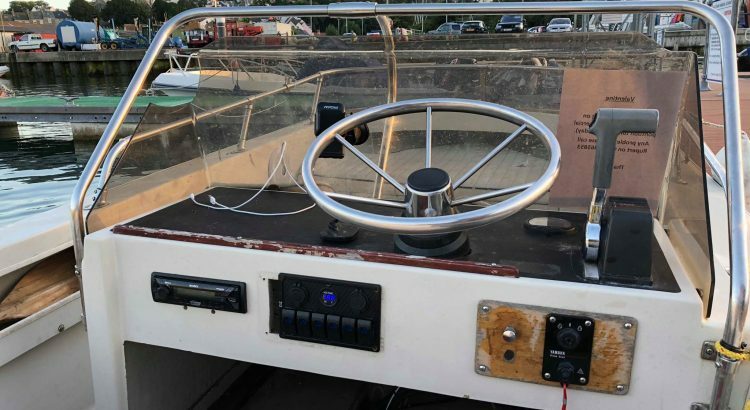 This boat rocker switch panel uses a simplistic layout to organize the wiring to meaningful switches. The installation is fairly simple too and it comes loaded with tinned wires that are marine graded for heavy duty usage. Overall, the SeaSense is the best buy for people not wanting additional 12V sockets or USB adapters for their boat. It doesn’t look very stylish but for just doing the basic task of turning electronics on and off, it is perfect. The Amarine-made rocker switch panel is a high quality piece of kits made from aluminium with rubber seal caps to keep water from entering the electrical ports. With overload protection via circuit breakers and a splash proof design, it is a very safe electrical switch panel. Included in the Amarine-made package are stainless steel hardware, 60 different labels for the switches and instructions. It is an easy to install panel that can be placed in a vertical or horizontal position. Overall, this rocker switch panel is a great all rounder and the sleek design means that it won’t be obtrusive in the cockpit. Many include flashing LED’s and fancy colors that standout too much sometimes and simply doesn’t go with the cockpit design. Tidying up your marine electrical wires into an organised switch panel layout is highly recommended. Not only are the electrical wires protected from water and UV damage but it makes the cockpit look much better overall. They are available in a range of styles that include cigarette lighter sockets, USB adapters, voltmeters, switches and much more. As with any electrical marine products, there are some factors that you should consider but overall, they are quite simple and its primarily up to your personal preference on which rocker switch panel you buy. For boat owners of small boats, it is pretty much pointless having too many switches. You are better of purchasing a 3 gang switch panel that includes both a 12V cigarette lighter outlet and USB port. However, those that own large vessels that require switching for automatic bilge pumps and other marine products, its important that you cater for all of them with switches. 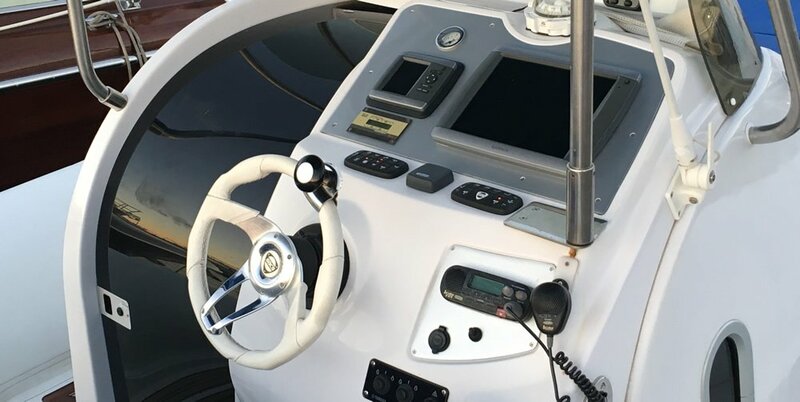 The addition of cigarette lighter sockets and USB adapters means you are able to connect GPS fish finders, phone chargers and more. The only drawback of them being added to the rocker switch panel is that they take up additional room but they are always useful. Additional features found on many of the high quality rocker switch panels include illuminated LED switches, voltmeter, rubber seals, aluminium construction and more. Depending upon your budget that you are setting yourself, adding features such as these can make a real big difference. Adding or upgrading your rocker switch panel will make a big improvement to your cockpit. Installation may require basic knowledge of wiring but instructions and online tutorials will help massively. In terms of which panel to purchase for your own boat, begin by counting the number of switches you actually require. Once you know the amount you require, look at one of the recommended rocker switch panels above that include both a cigarette lighter socket and USB port.